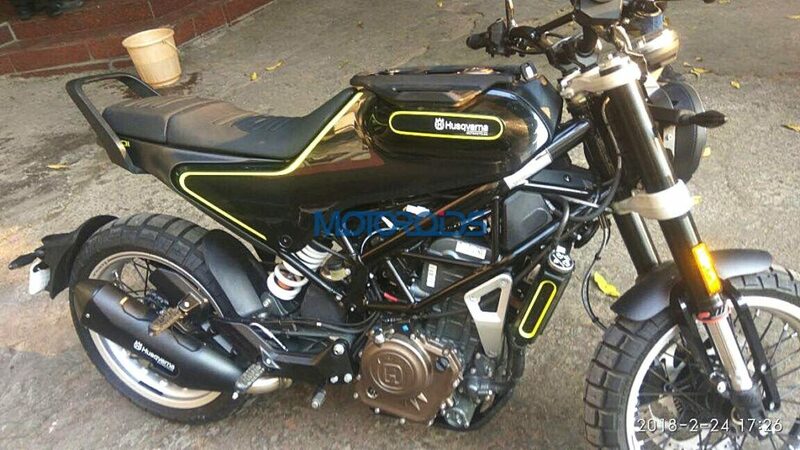 The Husqvarna Svartpilen 401 has been spied again, around Pune, Maharashtra. The bike was spied along with its cousin, the Vitpilen 401. The matte black exhaust features an elegantly designed heat shield as well. The Husqvarna Svartpilen 401 is a scrambler motorcycle, with rugged design elements for its off-road friendly nature. The fuel tank comes with a standard rack, which is ideal for light luggage. The scrambler-type handlebar is braced for added rigidity. It also results in a more upright riding position compared to the Vitpilen 401. Just like the Vitpilen, this test mule also features a protective frame under the engine on which the bash plate can be fitted for safer off-road performance. Instrumentation is a circular digital unit, like the Vitpilen. The pillion seat comes with a large grab rail, and the single-side-mounted rear tyre hugger doubles up as indicator and licence plate holder. The headlight, tail light and indicators are all LED. The 17-inch spoke wheels are shod with knobby tyres. The bike gets 320 mm front and a 230 mm rear disc with twin channel Bosch ABS. Expect the final production version to come with longer fenders for better splash protection. The Husqvarna Svartpilen 401 rides on 41 mm open cartridge WP upside down front fork, and rear WP monoshock. 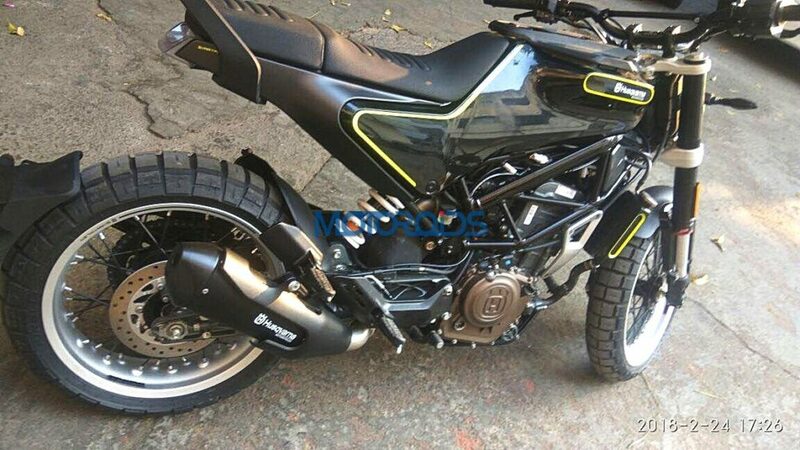 The bike shares its engine with the KTM 390 Duke. The 373.2 cc single cylinder motor is good for 43.5 PS and 37 Nm. A 6-speed transmission with slipper clutch mates with the mill. When launched, the Svartpilen 401 would be the most affordable mid-capacity scrambler, despite its premium positioning over KTM. Bajaj will manufacture the bike at its Chakan Plant near Pune.